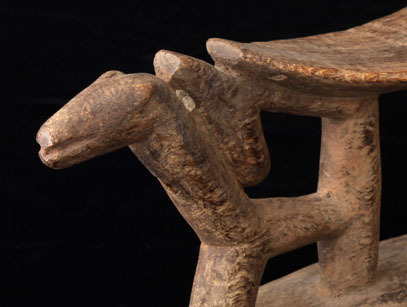 In the cultures of Africa, headrests were designed to preserve very elaborate hairstyles. They maintained the head at the same level as the shoulders during sleep, but their function went beyond the strictly utilitarian. 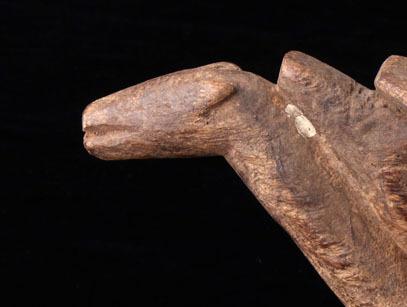 Being associated with sleep & dreams, the headrest was believed to be a recipient of occult forces. It was an eminently personal object and was never lent to another. 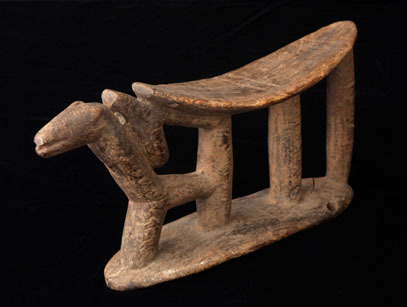 This particular headrest is in the Tellem style, named after the people who inhabited the Bandiagara region prior to the arrival of the Dogon in the 15th century.